Why Choose Our Auction Facility? Cleveland County Agriculture Livestock Exchange, CCALE, is owned by Veterinarians. Our mission is to provide a fair auction in a family atmosphere. We are here to work for our producers to get the best price for their animals. We strive to reduce animal stress and cater to animal health. Let our team know how we can help-Inquire about our services today! 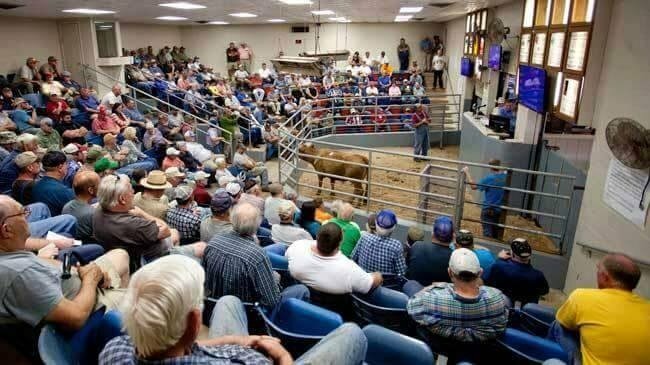 Our goal is to be a top-of-the-line livestock auction facility, as compared with any other facility in the country. We provide Veterinary Services at the sale barn and focus on getting sellers the best prices for their livestock while also satisfying buyers by offering quality animals. For more information about our livestock auction services, give us a call today at 704-419-2555, Fax 704-419-2556.